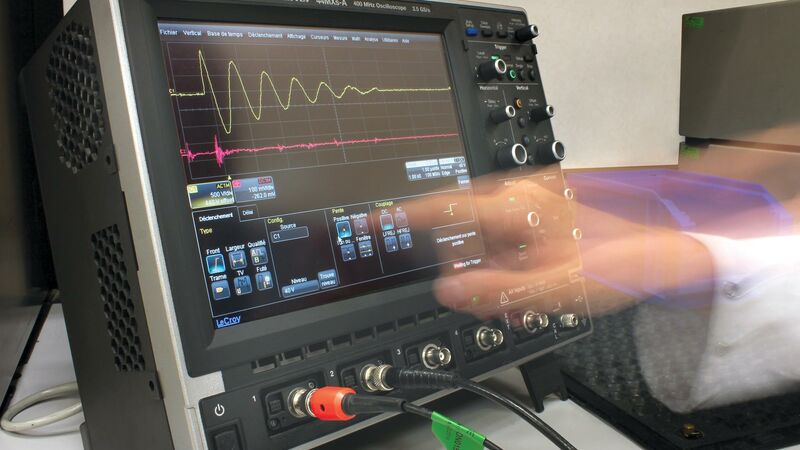 How do we test an electrical environment? Standard equipment range: multimeters, signal generators, dielectricmeters, megohmmeters up 5TΩ, milliohmmeters, oscilloscopes, etc. High frequency test benches by network analyzers up to 20GHz (Shielding, susceptibility, VSWR, insertion loss, impedance, transient response, etc. Lightning bench 6kV/10kA and up to 20kA.